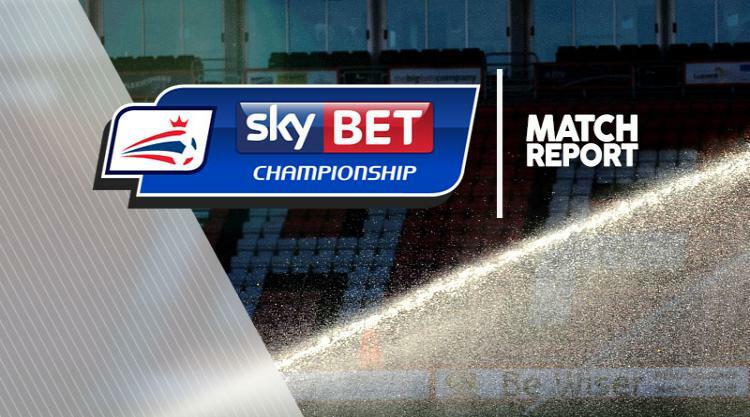 Luke Freeman's late goal rescued a point for QPR who drew 1-1 at Barnsley in the Sky Bet Championship. A brilliant Harvey Barnes strike in the first half was matched by Freeman's effort with just a few minutes remaining. The game took some time to get going, with Rangers intent on pressing Barnsley high, and the Tykes struggling to find a way through a stubborn defence. As a result, it was QPR who produced the first effort on target in the 13th minute when Bright Osayi-Samuel crossed from the left to find Jamie Mackie, whose headed effort lacked any power and was easily held by keeper Adam Davies. The wait for the opening goal was ended in the 20th minute by Barnes. Reacting first to a loose ball on the edge of the box, he beautifully curled the ball into the far top corner to give the home side the lead. Barnsley remained in control throughout the first half and came close to doubling their lead with an incisive counter attack. George Moncur crossed from the right to find Barnes at the back post, but his effort was mistimed and easy for the QPR defence to hack clear. Liam Lindsay had another chance for Barnsley in the 36th minute when his towering header from Adam Hammill's free-kick had Alex Smithies scrambling in the QPR net. The home side went into the break deservedly leading. QPR worked hard but showed little quality and Barnsley were more than comfortable as a result. Barnsley went in search of the second after the break, with half-time substitute Tom Bradshaw inches away from heading home a Brad Potts cross in the 57th minute as the home side looked to put the game to bed. For all of Barnsley's good work, they were only narrowly in front and survived a penalty scare in the 65th minute with Alex Baptiste going down in the box under a challenge from Lindsay. Hammill almost bettered Barnes' opener in the 67th minute with a superb volley from wide on the left which dipped over Smithies but the keeper was able to recover well and tip the ball around for a corner. The visitors missed a golden chance to equalise in the 68th minute with Pawel Wszolek blazing high and wide of the target when faced one-on-one with keeper Davies. QPR continued to grow in the game with the Oakwell crowd becoming increasingly restless. That tension resulted in a superb 87th-minute equaliser from Freeman, who cut inside onto his left foot and lashed the ball in from 25 yards.